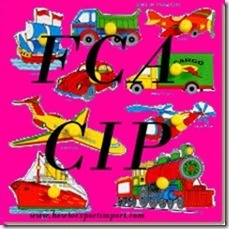 FCA means, Free Carrier (at named destination) and CIP terms means Carriage and Insurance Paid to (named destination). If you know about FCA and CIP terms in detail, you can identify the difference between both CIP and FCA terms. The terms FCA and CIP have been written in detail in same web blog under the following links. What is CIP terms? How does CIP terms work in International Trade? What is FCA terms. How does FCA terms work in shipping? I hope, you got clarified about difference between CIP terms and FCA terms.